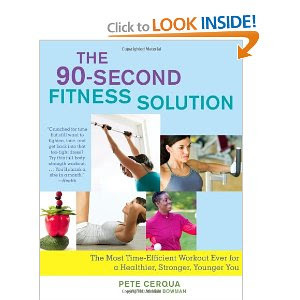 The 90-Second Fitness Solution by Pete Cerqua is a great introduction to high intensity workouts. High Intensity Strength Training is a safe and effective way to get in shape. No cardio required! Everything from a 3 minute home or office workout to the more advanced gym workouts are covered. The book was written for women but the guys can benefit from the routines as well. How do I increase my strength and get leaner without making my muscles bigger? Don’t move!